When it comes to type 2 diabetes — the most common type of diabetes — prevention is a big deal. It’s especially important to make diabetes prevention a priority if you’re at increased risk of diabetes, for example, if you’re overweight or have a family history of the disease. Diabetes prevention is as basic as eating more healthfully, becoming more physically active and losing a few extra pounds — and it’s never too late to start. Making a few simple changes in your lifestyle now may help you avoid the serious health complications of diabetes down the road, such as nerve, kidney and heart damage. 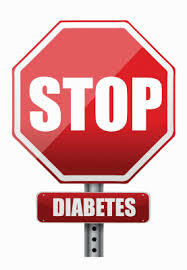 Consider the latest diabetes prevention tips from the American Diabetes Association. Foods high in fibre include fruits, vegetables, beans, whole grains, nuts and seeds. If you’re overweight, diabetes prevention may hinge on weight loss. Every pound you lose can improve your health, and you may be surprised by how much. Participants in one large study who lost a modest amount of weight — around 7 per cent of initial body weight — and exercised regularly reduced the risk of developing diabetes by almost 60 per cent. Low-carb diets, the glycaemic index diet or other fad diets may help you lose weight at first, but their effectiveness at preventing diabetes isn’t known nor are their long-term effects. And by excluding or strictly limiting a particular food group, you may be giving up essential nutrients. Instead, think variety and portion control as part of an overall healthy-eating plan.